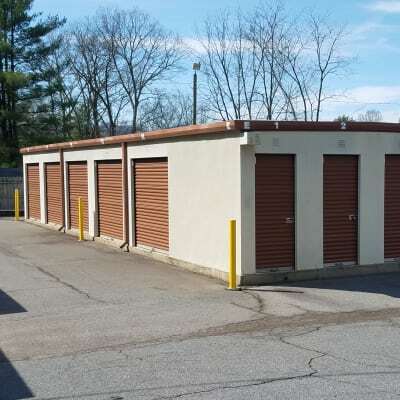 Monster Self Storage offers storage units in Asheville, NC, with a variety of sizes. Use larger 10x20 units to store furniture and boxes from a multi-bedroom home. Smaller 5x10 units with high ceilings make it easy to get organized at home. Bring seasonal sports equipment and holiday decorations to make room for the important items and people in your home. Watch for regular specials we offer, as well as military and senior discounts. Choose from competitively priced and convenient storage solutions in a variety of sizes. Enjoy top-notch accessibility at Monster Self Storage. We designed our Asheville storage facility to appeal to your specific needs. Get into your storage unit anytime with convenient 24-hour gate access, 7 days a week. Wide driveways help you maneuver the property, and ground-level units allow for drive-up access. All storage units also include high ceilings for additional storage space. Our storage facility includes 24-hour security monitoring, video surveillance, and motion-detection lighting for your peace of mind. Our onsite management team focuses on your convenience, accessibility, and overall storage experience, which is why we have individually alarmed units available for those who are interested. Easily rent self storage units in Asheville from Monster Self Storage. Call or stop by our office to speak to our friendly and knowledgeable staff to find out more about our available storage units for rent in the Bent Creek area.